Analysis of moon rocks collected during the Apollo missions and volcanic rocks from Earth’s oceans reveals water was present before an impact with a Mars-sized object created the moon. M	M	ost of our planet’s water has been present since very early on, even before a giant impact from a Mars-sized object that created the moon. 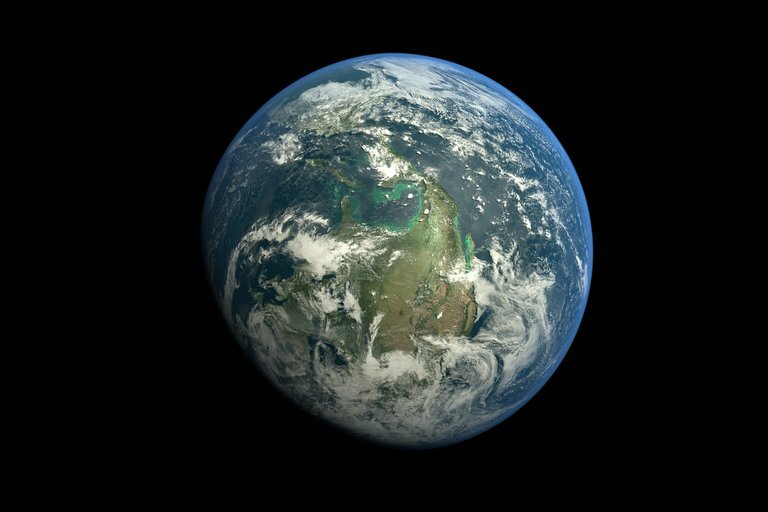 Despite that incredibly cataclysmic event, Earth was able to retain its water, according to a new study published in the journal Science Advances. The study authors examined lunar rocks brought back from all six of the Apollo moon landings as well as volcanic rocks from Earth’s oceans. There has long been a debate over how — and when — Earth obtained the water that is ubiquitous on our world today. While water molecules were part of the cloud of gas and dust that coalesced into our solar system 4.6 billion years ago, Earth’s early history included scorching temperatures and little-to-no atmosphere, so it was thought that any water on the planet’s surface would likely have evaporated. There is also the prevailing theory that the moon was formed from a cataclysmic collision between proto-Earth and a solid impactor about 100 million years after our solar system’s formation. This giant impact, some scientists have proposed, surely would have blasted Earth’s water away. That led many scientists to suggest that water would have been introduced on Earth at a later time, when it was pummeled by comets and asteroids during the Late Heavy Bombardment period, 4.1 to 3.8 billion years ago. Several studies suggest that these objects could have readily supplied the amount of water that is present on Earth today. One sticking point for the giant impact theory, however, is planets in our solar system have unique chemical makeups. Earth and our moon appear similar when it comes to versions of elements called isotopes — specifically different isotopes of oxygen. A previous study discovered, though, that some rocks from the Apollo missions contained slightly more oxygen-17 than oxygen-16 when compared to Earth rocks. That indicated that the moon might have been primarily formed from the impactor rather than the proto-Earth. But the new study not only supports the giant impact theory of the moon’s formation, it says Earth’s water could have survived such an event. The study also clarifies differences and similarities between the Earth and the moon. Greenwood and his colleagues compared the oxygen composition from both Earth rocks and lunar samples brought back by the Apollo astronauts. In analyzing the oxygen-isotope compositions in both sets of samples, they showed a very small 3 to 4 parts per million difference between the two. There was “no significant difference” between the lunar samples and Earth samples in the amount of olivine, a common mineral in Earth's subsurface. According to the authors, these findings are consistent with high-energy impact simulations that confirm an almost complete “mixing” of the proto-Earth and the impactor, as well as retention of a large amount of water on Earth, as much as 70-95 percent. Greenwood and his team say their findings could potentially have implications for exoplanet habitability. Studies of extrasolar planetary systems have shown that many distant systems likely experienced similar chaotic collisions early in their formation, too, which led to doubts about the amount of liquid water on some of these worlds.